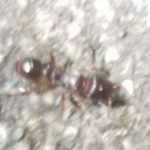 Sugar ants are one of the biggest problems for residents,business and commercial buildings of the Pacific Northwest. 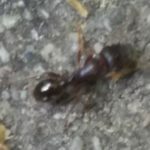 Effective exterminators ant control techniques. 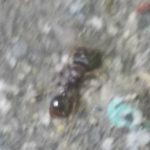 Ants pests in the Pacific Northwest are Carpenter Ants, Odorous House Ants, and Moisture Ants. There are many other types of ants, and some may even be misidentified as termites. Extermination methods are fast, effective, and safe for children and pets. Rodent Control exterminators rodent control specialist in mice removal and exclusion pest services. Removal of all contaminated insulation and replacement of insulation . Attic & Crawlspace Clean-up,Seattle Rodent Clean-up finding rodent entry points and customizing a strategy to getting rid of rats & mice and keeping them away. Bed bug activity and infestation is on the rise in seattle Puget Sound areas However, with Exterminator expertise . Our bed bug treatment is thorough, effective & safe. Exterminators specialize in keeping homes, residences, office and businesses pest free . Extermination treatments that are safe for your pets and children. Seattle exterminator services servicing king county areas.